Set Of Sea Fish Color Design Flat. Royalty Free Kliparty, Vektory A Ilustrace. Image 53534395. Reklamní fotografie - Set of sea fish color design flat. 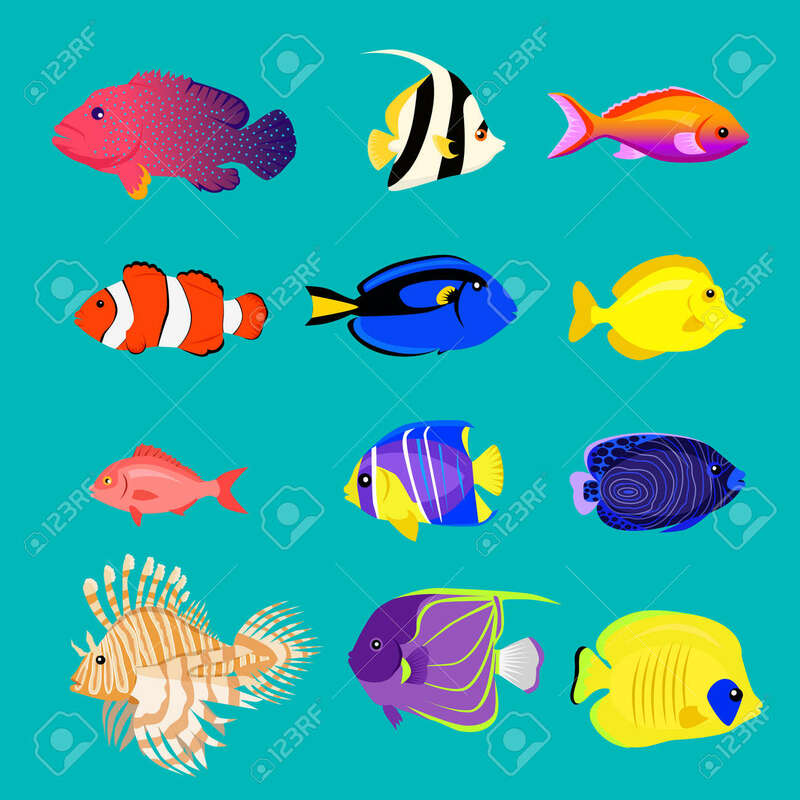 Set of sea fish color design flat.